Our Sales Representatives are some of the Best in the Business. Come and Join Our Growing Team! Are you ready for a challenge? Make no mistake about it, we will put you in the best position to succeed, but it’s up to you to deliver! We are looking for an Equipment Sales Specialist Representative to work in our Industrial and Public Facilities Market. We have the best tools available, a team of technical experts, best in class manufacturers and support from the top down. As a Equipment Sales Specialist, you need to be as good or better of a listener and problem solver as you are a salesperson. Bortek is in the business of understanding our customers problems, determining their specific cleaning needs, and putting the proper equipment in their facility. 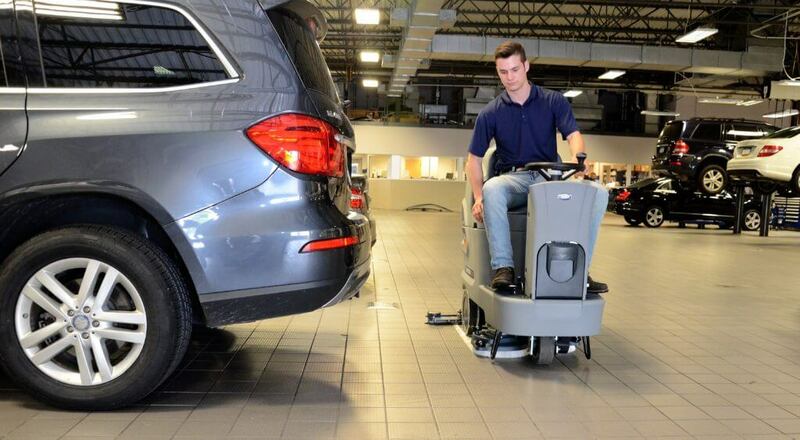 You’ll have access to a large selection of floor care equipment. From something as simple as the compact Hammerhead 450RS walk-behind floor scrubber to something as large and powerful as the Global M3 purpose-built street sweeper, you have the equipment people need to keep their facilities and cities clean. You will become very familiar with these machines. Our sales representatives are hands on operators of these machines and you must be comfortable working in industrial environments on a daily basis. Don’t worry, no prior sales experience in the industry is required. We will ensure you receive the proper training in order to be successful. *Bortek is a drug-free workplace. Criminal background, driving background, and drug screening will be checked on all hires.